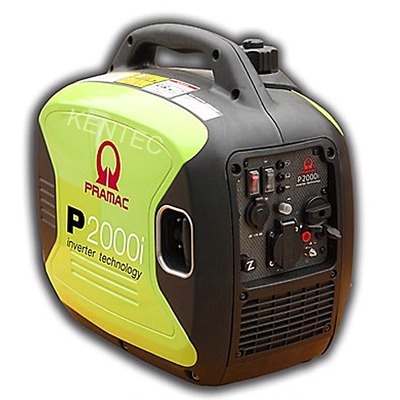 The choice and quality of Pramac's products means there is always a generator for your needs. Other products in the Pramac range include Water Pumps, Power Washers and Welders powered by genuine Honda engines. 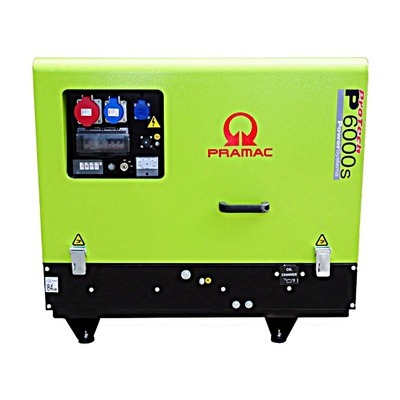 All PRAMAC Generators offer great value for money enhanced by quality components and rugged quality construction. 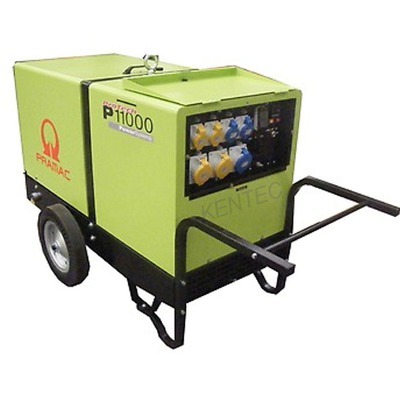 Kentec Generators have over 30 years experience and are an authorised Pramac Dealer, with experience and by carefully selecting the generators we sell, you can be assured of the highest quality products available. If you cannot see what you are looking for please use our enquiry form and we will be only too pleased to help. 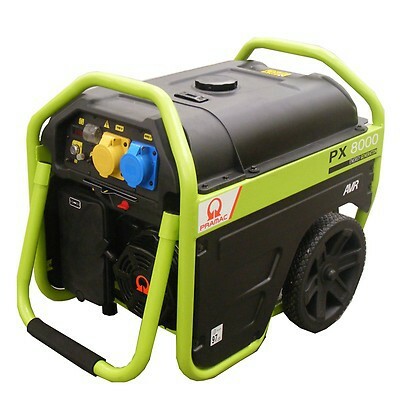 POWERMATE offers a full range of generators, from 1000w to 6500w, for applications that require an independent power source to cope with power outages, in emergency operations, or become the main source of energy in isolated environmental conditions or in recreational situations. All Powermate generators are equipped with AVR (Automatic Voltage Regulation). This device electronically regulates the voltage, with considerable benefits in reducing the risk of damage to high-tech appliances . Generac Home/office/residential standby generators by pramac now available from stock. PRAMAC protect the things that power your life by providing quality, affordable power solutions. They are focused primarily on power generation, and they now offer more generator solutions than any other manufacturer. That heritage has helped make them the number one choice in residential standby power, chosen seven to one over the closest competition. When you choose PRAMAC, you’re choosing to have peace of mind and the power to live. Empower your life, reach peace of mind thanks to Pramac’s residential back up 8-13 kVA Natural Gas and propane-fueled generators range. Know the status of your generator anytime, anywhere with the new Mobile LinkTM cellular monitoring system. Your appliances will work even when you’re away: if power goes out, your generator comes on. Always. It’s just that simple. Don’t give up your everyday comforts during power outages, choose Pramac. Greengear generators are LPG only & come with electric start as standard. Very efficient and quiet over equivalent petrol units with very low emissions making them very ECO friendly. Stephill Generators, UK designed and built to the highest quality for long service life and reliability . Generator sets powered by Honda, Kubota, Yanmar, Perkins & Lombardini engines. 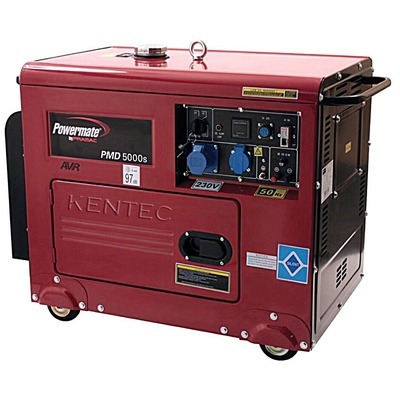 They build a wide range of petrol and diesel generators including silenced and super silent, suitcase/Leisure generators, single phase & 3-phase generators. Standby and Prime Power applications available. If you cannot see what you are after please use our enquiry form and we be only too pleased to help, we do offer the full range of Stephill products. 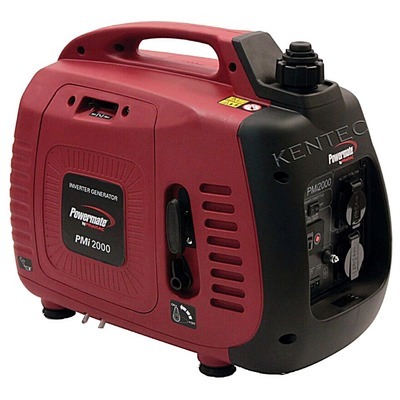 Kentec Generators have over 30 years experience and are an authorised dealer for the Stephill range of products and a proudly British Company. Using our experience we can offer genuine advice and genuine products helping you to get the best suited package for your needs. See our range of Stephill Generators below, or contact us if you have any questions about our any of our power systems products.